Hallelujah! The flight that I had been dreading for months was finally over! 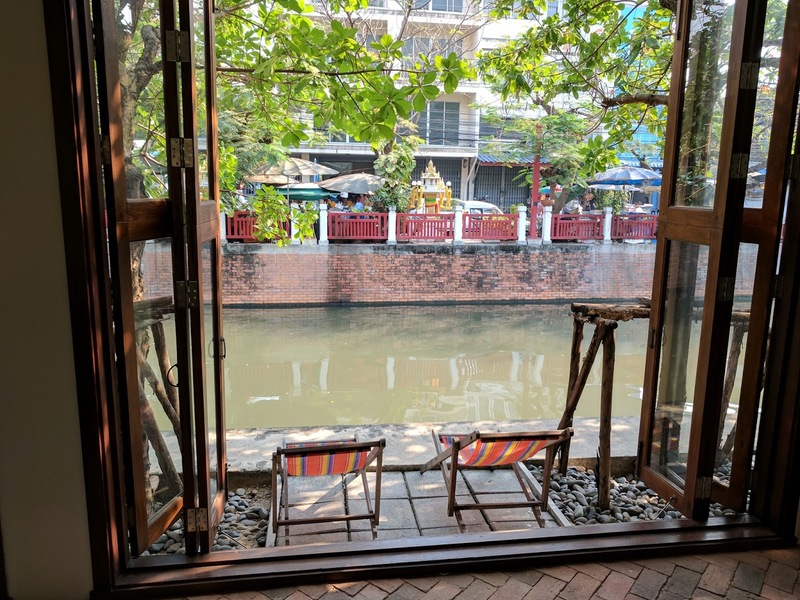 After almost exactly 24 hours of travelling, we arrived in Bangkok. 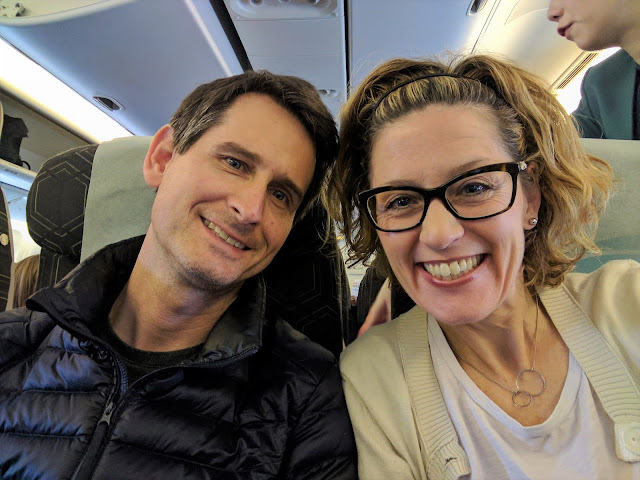 The 16-hour flight from New York JFK to Taiwan was far less unpleasant than I had feared and even Scott proclaimed it to be even more fun than he had anticipated. (Fun??? Really??? What a weirdo!). Miraculously, the on-board restrooms, complete with pretty, yellow flowers in a vase affixed to the wall, remained quite clean and fresh-smelling for the duration of the flight and contained a supply of complimentary toothbrushes and toothpaste, which was a lot more exciting than it probably sounds to you at the moment. 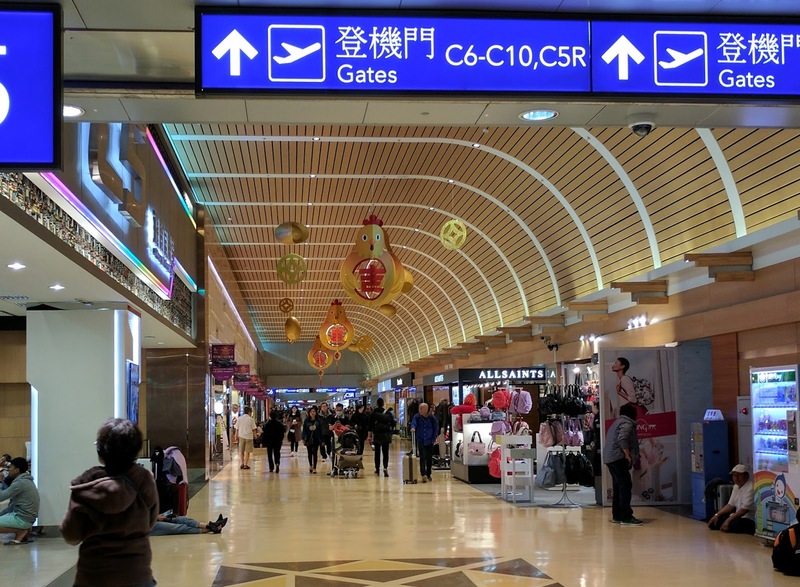 During the flight to Taipei, I managed to get about eight hours of sleep divided in several sessions and I felt more refreshed upon arrival in Taiwan than on any previous long-haul flight. The all-female, all-Asian team of flight attendants on our EVA Air flight were reasonably pleasant and extremely efficient in their ugly, green skirt and jacket uniforms. They kept us well fed, serving us two full meals as well as two snack sandwiches (which I skipped since I had already eaten too much bread in the form of the delicious, hot rolls they served with each meal) and the food was enjoyable. Our arrival at Bangkok’s international airport just before noon local time, was easy and smooth. 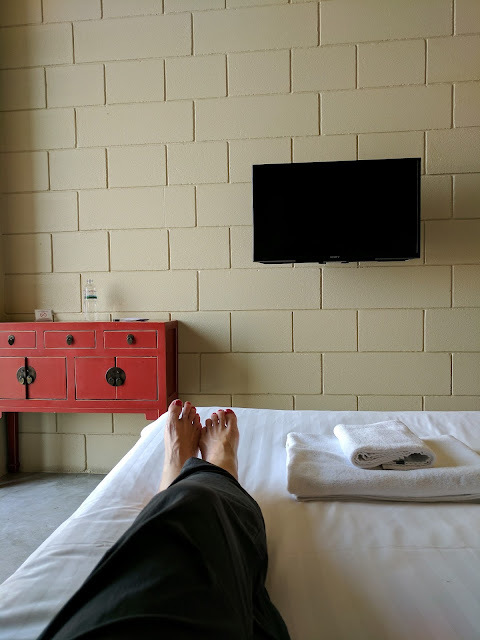 After a very short wait, and armed with our 60-day visas procured in advance in New York, we sailed through immigration and customs with absolutely no questions whatsoever. The airport was far calmer than I had anticipated, unlike some of the chaotic airports in Mexico, and nothing at all like the insanity of Lagos International. A beautiful and super-modern structure, it was just like arriving in any American airport, which was a welcome surprise after our tiring travel day. 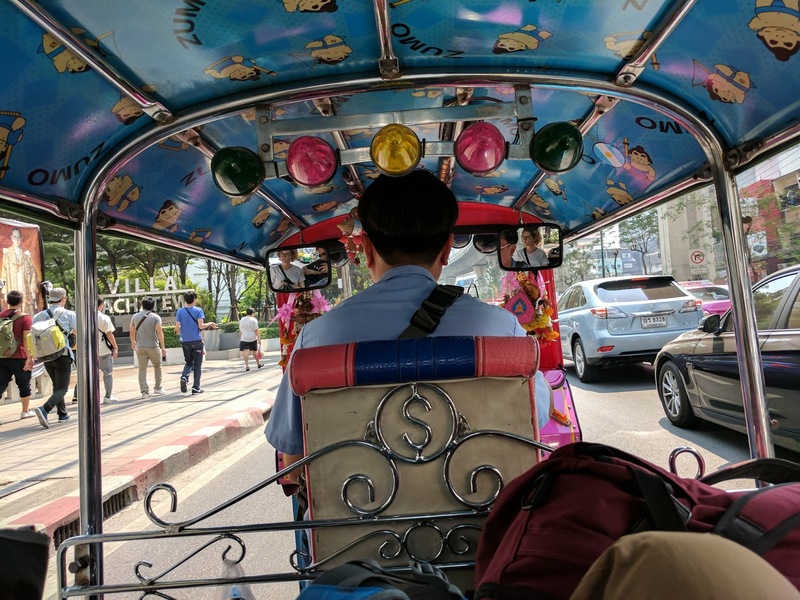 Directly from the airport, we took the commuter train into the city, where we transferred to a tuk-tuk, one of the small, 3-wheeled, open-air motorized vehicles seen all over Bangkok, to take us to our hotel. Conscious of avoiding the ubiquitous scams, Scott negotiated a price of 200 Thai Baht, about $6USD, with the driver and we hauled all of our bags aboard for the enjoyable, 30-minute journey through the city. As our driver expertly navigated through the busy traffic, I was pleasantly surprised that the 95-degree afternoon heat didn’t feel more stifling. The Villa Phra Sumen, which we booked online prior to our departure, is located on one of Bangkok’s many canals in the busy, yet charming Banglamphu neighborhood, popular with the Euro backpacker set and cheapskates (i.e., unemployed people) like us. 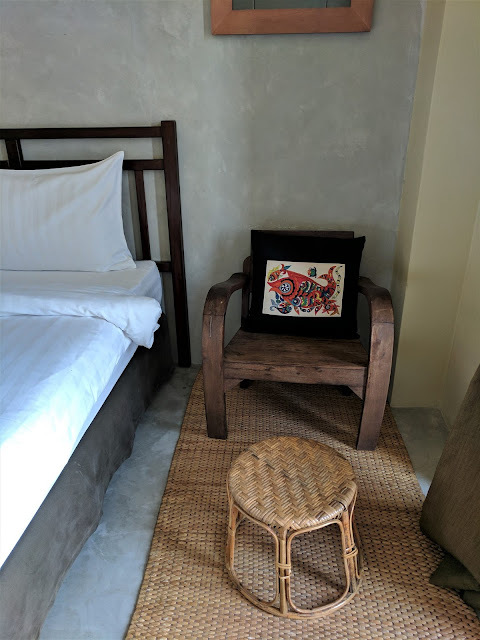 The medium-sized hotel, which I might describe as a sort of lower-end boutique property, has a pleasant, rustic-modern aesthetic. Our room, accessed by a super-modern chrome and glass elevator, or more commonly by us, the stairs, is located on the 4th floor of the hotel. 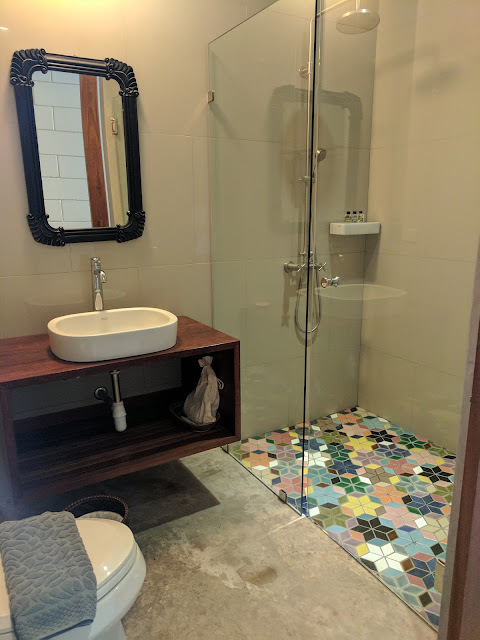 Despite some minor frustrations, such as having only one small mirror located above the bathroom sink, no drawers for organizing clothing and that the AC shuts off when removing the key card from the electricity slot near the door, turning the room into a sauna while away, our room is perfectly comfortable and even has the bonus of overlooking the courtyard rather than the noisy street. 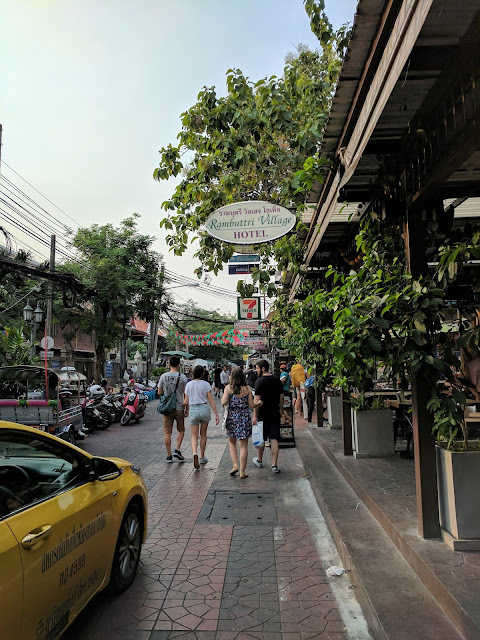 After checking in and getting settled a bit, we hit the streets in search of a relaxing spot for some food and drink before turning in for an early night. Heading for the touristy Khaosan Road mentioned by the helpful front desk employee, we made our way through the busy streets and eventually found a smaller, less trafficked lane for a light bite in an atmospheric setting. 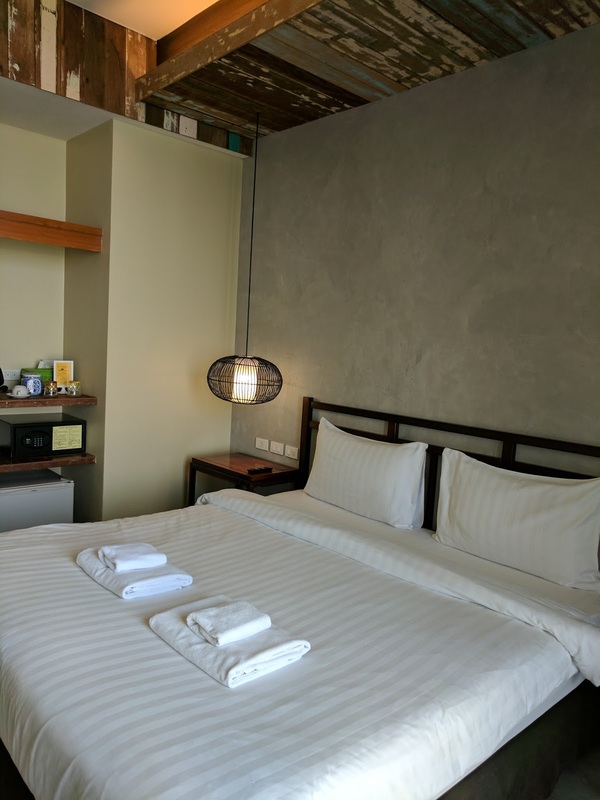 Sated and exhausted, we wandered back to the hotel, with a brief stop to procure Scott a hat on Khao San Road, just as the Bangkok nightlife was beginning to heat up, feeling grateful for the comfortable bed awaiting us. Testing the bed - it passes with flying colors! 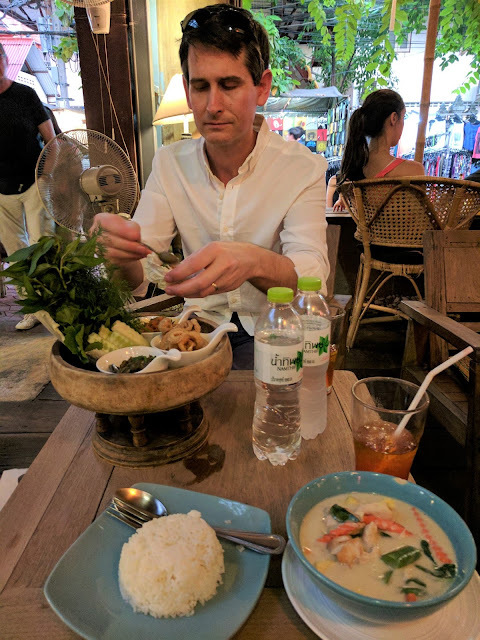 My visit to Thailand was also wonderful. 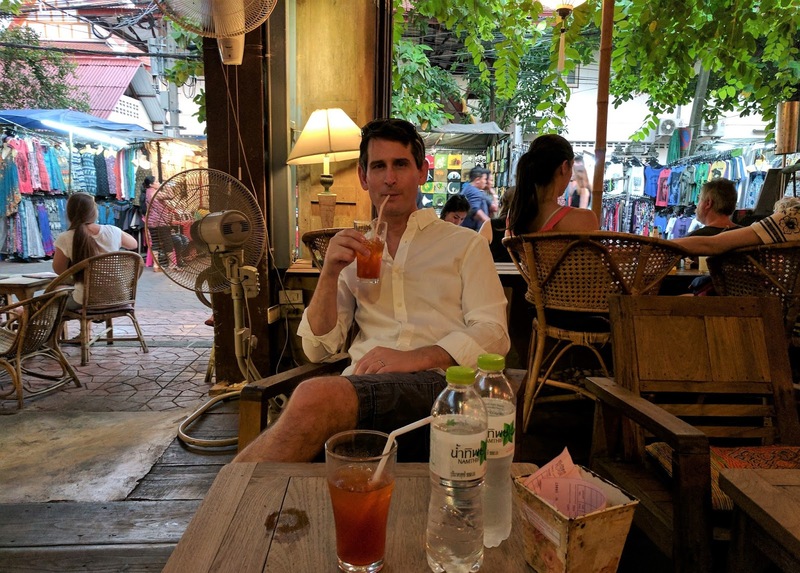 I visited the city of Chiang Mai, and I was delighted of it. With the help of the company Cat Motors http://catmotors.net/ I rented a motorcycle, and I was able to visit a lot of places. For me this trip was the best for all time.